I’ve often heard that the value of being a part of sports when you are growing up isn’t really about whether or not you are going to be in the Olympics, World Series, World Cup, etc. of whatever sport you choose – it’s about what that sport teaches you about life along the way. I wouldn’t change my experience as a competitive figure skater growing up for that very reason. Was I bound for the Olympics? Absolutely not! Did it teach me the importance of working hard? Making mistakes with grace? Time management? Many other things that have stuck with me through my adult life? Absolutely! 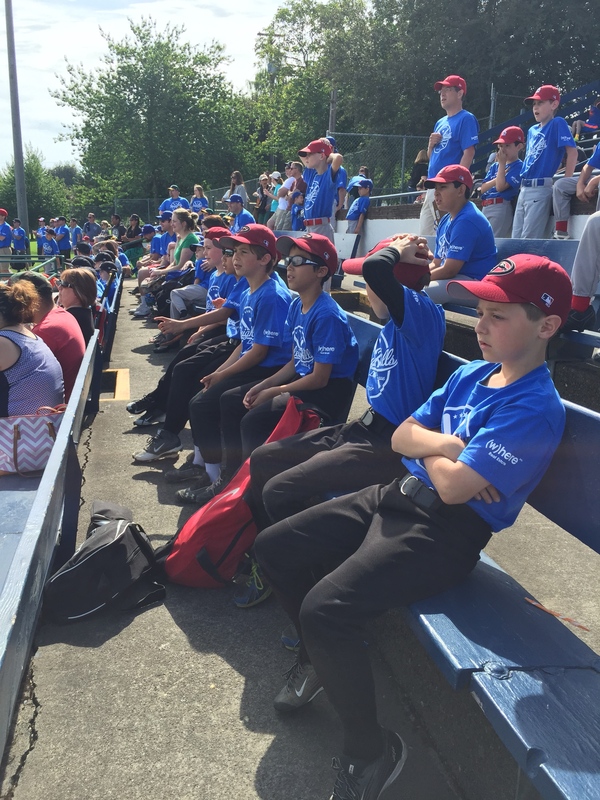 It’s this that makes me feel so proud about Ian’s first year in AAA baseball for Raleigh Hills Little League – and really – all kids who take on this challenge at a relatively young age. 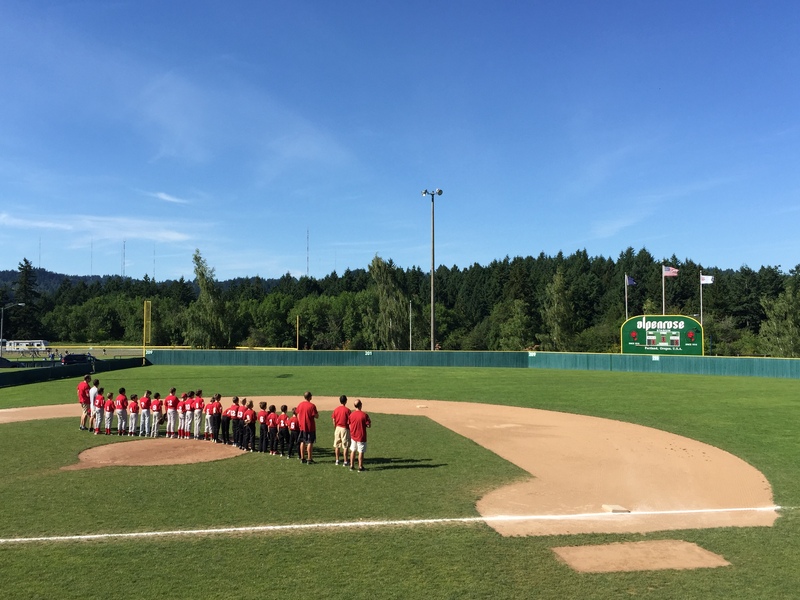 The journey for Ian started in early 2015 when he enthusiastically committed to Sunday evenings at clinics in a dark-ish indoor facility at an office park in Tigard. While the rain came down, he and so many others were inside practicing their hitting & fielding so that they would be at their best when tryouts arrived. It seems like a long time ago now that I watched him standing in line to go in and show his stuff for those who would evaluate his skills and later, if he made it, assign him to a team. Soon, we got that email from his new coach, and assistant coach, that he would be on the AAA Diamond Backs. At first, I must say that I was a little taken back by the level of seriousness that these people seemed to take with regard to a team of 9 to 11 year olds. Being on time for practices, dressing correctly for games… All I was thinking was how Jeff and I are doing the best we can to get him there when we can with that whole work thing and all. From Game 1, his coaches were so into – and passionate – about these kids and this game. There was a lot of loud voices, but in a good way. He pushed them to try their hardest and best. And in practices, they spent time showing them how they could be their best. What good plays looked like; how to act like a team and work together. They didn’t let those kids do anything but try their best. 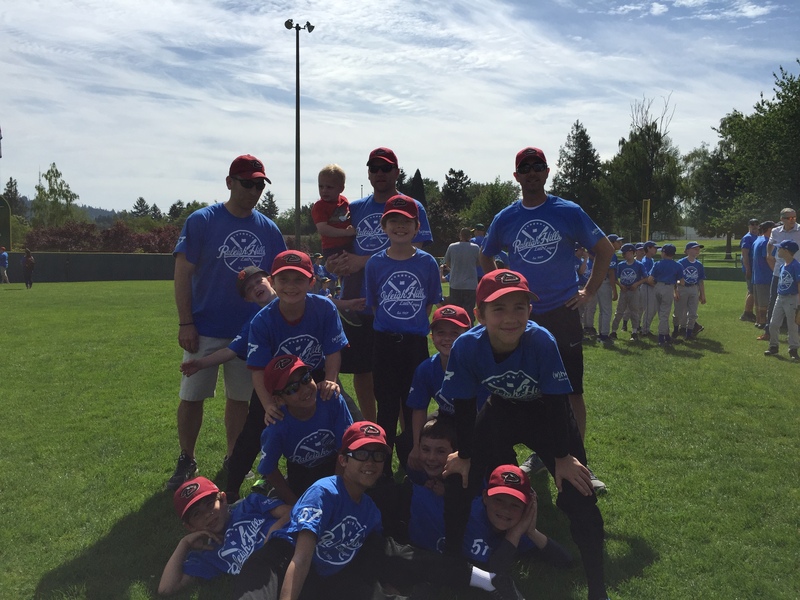 The Raleigh Hills AAA Diamondbacks finished the regular season in second place. And silly us, just over a week ago, we thought that was it. But alas, enter the playoffs, which began this past Monday. We did our parental duty and got him there by 5:15 for the 6pm start against the Cardinals, maybe with a little help from some friends. By mid-game, surely this was going to be an easy win. Dinner was soon within our sights. Until the 5th (of 6) innings when pitching went south and the Cards made a comeback. One Dback mistake led to another. You could see the mental game take over and our team began to spiral downhill, even at this young age. And parents on both sides, began to become more involved and anxious for those kids, who are all part of the same community and many of whom are even friends at the same school. In the end, the Dbacks endured a hearbreaking loss by one run. The good news, we learned? We had another game Tuesday night! “Yay! ?” thought us parents. It was another rival of friends – the Rangers. An easy win? Absolutely not. 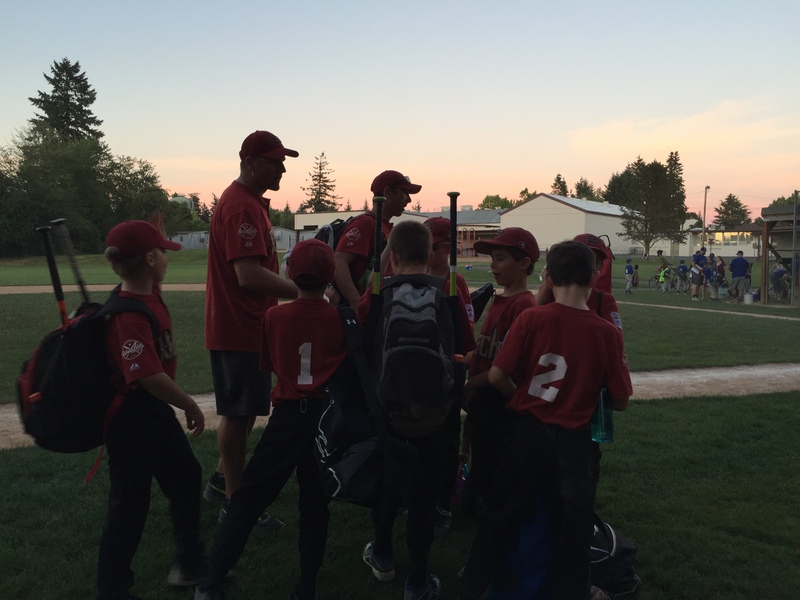 Into an extra inning with a 20-20 score and 2 outs, the Dbacks brought in a run to guarantee them another game Wednesday night AND a battle for third place on Friday night. Yay!!?? But those kids fought so hard for that win – I never saw one of them give up fighting, so how could you help but be supportive? Wednesday eve came with wine boxes for some of us parents. I mean, who could handle one more night of this stress w/o alcohol??? It may have been at the very dusty home field of Raleigh Park (note: NOT pictured to the right), but it was against the all-mighty, nearly-unstoppable White Sox. True to their reputation, they pounced the Dbacks. But did those kids ever stop fighting even when they appeared down and out? They didn’t. 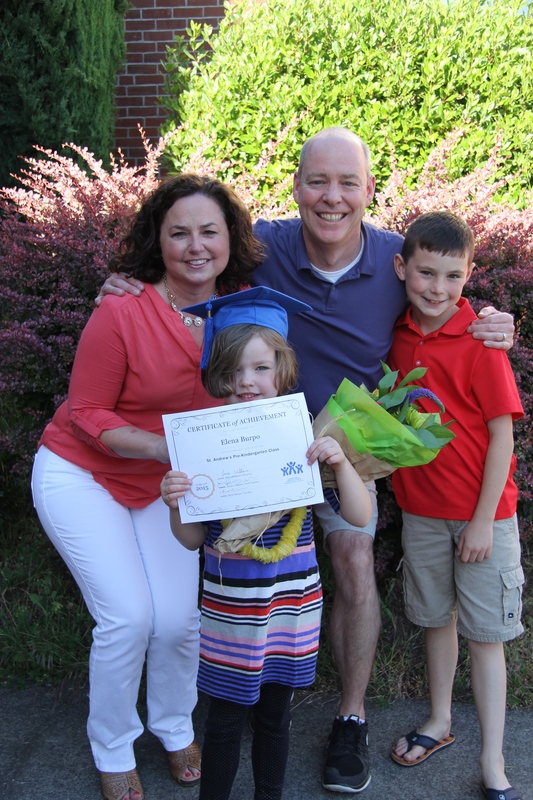 As we packed up, Ian commented, “At least we have Friday night.” It was then that, after giving it much thought, we reminded him that Friday night, at the same time the game started, was his sister’s preschool graduation event – the school we had been at as a family for the past 7.5 years. So, he would not be able to play Friday night. This is when he did something that I was so proud of him for: he began crying and then stopped and said that he understood that Elena’s graduation was more important than him playing in a baseball game and that he wanted to be there with her. This was a boy who would not have said this a year – or maybe even six months ago. Friday night we celebrated our, and of course Elena’s, finale at St. Andrews and then headed over to cheer on Ian’s team for the second half of the game. The Cards again gave them a run for their money and beat them in the last inning by one run. In the end, it was not the Dbacks week, despite their overall awesome season record. But those kids, at ages 9, 10, 11, poured their heart into that season, and congratulated and smiled when their competitors and some, friends, took the third place photo when the game ended. They gathered for their fourth place medals and talked about what a great effort they made and season they had. And I’m pretty sure they all felt proud. And really, what more can you ask for than that? As a parent, you quickly learn how many hard lessons your kids are going to face in life, and to see them take one, or more, with grace, the right spirit and most importantly, to keep trying their best, is just the most you can hope for. Three cheers for Raleigh Hills AAA Dbacks 2015! This entry was posted in That's Life by burpobanter. Bookmark the permalink. I loved your story. You are a fabulous writer with a wonderful message. This is really a lovely and thoughtful reflection and provided more insight into your lives. Loved hearing all about it. And how proud Ian must feel for your recognition of the team’s efforts. This is a beautifully written piece. Your comments about the impact skating has had on your life makes all those early mornings and trips to Stockton worthwhile. Speaking of sports, Chuck is driving Stella to golf lessons once a week this summer.